Another Grand Slam, another letdown for Alexander Zverev, the widely-touted heir apparent to Roger Federer, Rafael Nadal and Novak Djokovic. The 21-year-old's latest failure came on Saturday when he lost 6-7 (1/7), 6-4, 6-1, 6-3 to German compatriot Philipp Kohlschreiber -- 13 years his senior -- in the US Open third round. Yet he has nine career titles to his name with three this year in Munich, Madrid and Washington. He was also runner-up at the Masters events in Miami and Rome. "You are overthinking this way too much. 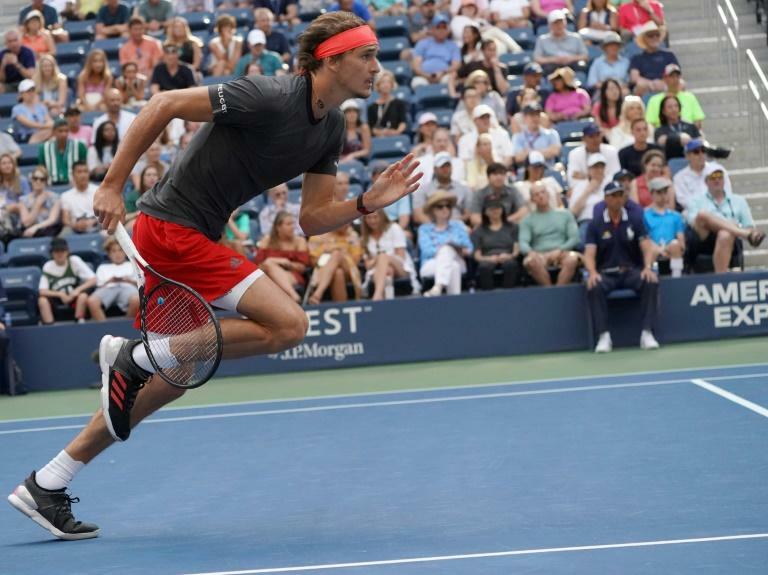 Wow, you're stretching it, really stretching it," said Zverev who came to New York with a season-leading 45 match wins. But the statistics make grim reading for a player whose first two opponents in New York -- Peter Polansky and Nicolas Mahut -- were lucky losers having lost in qualifying. At the Australian Open in January, Zverev lost in the third round to Chung Hyeon of South Korea from two sets to one up and at the same stage at Wimbledon to Latvian qualifier Ernests Gulbis. Even at Roland Garros, he toiled through three successive five-setters just to get to the last-eight where he went down tamely to Dominic Thiem. "There's a lot of focus on the Grand Slams. I've obviously done well in Paris, but not at the other Grand Slams this year maybe for different reasons," he said. "Australia, I played against Chung, who played very well. Wimbledon I was still recovering from an injury. Here I played a good opponent. Just couldn't find my best game today." Kohlschreiber, who lost to Zverev in the Munich final, is in the last 16 in New York for the second successive year and fifth time in total. The 34-year-old insisted there were too many expectations on the shoulders of Zverev whose decision to hire Ivan Lendl, the former coach of Andy Murray, backfired. "Everybody is expecting him to do it easy, but he's not winning every tournament," said the veteran. "He's playing a few great weeks, but also he struggled in Cincinnati. He lost in his first match there (against Robin Haase)." Kohlschreiber will next face Japanese 21st seed Kei Nishikori, the runner-up in 2014, for a place in the quarter-finals. Nishikori has won both their previous meetings -- in Rome this year and at the 2016 Australian Open and has yet to drop a set against the German. "Kei is a great guy. He doesn't have the huge power on the serve, but he's putting his serve with a lot of quality, clever spots, a lot of body serves," said Kohlschreiber. "He's a great mover around the court. Usually I struggle a little bit more if guys take away my angle game. "So, yeah, I don't want to say I have to play very big against him, but I would say also if you get broken often, you always have the chance to come back more easy against Kei."